It’s a pretty clear fact now that mobile optimization is a necessity for most applications, including Facebook. With 70% of Facebook’s traffic coming from mobile, its even more important for apps within Facebook, including contests and sweepstakes, to be mobile optimized. Making your contests mobile optimizes matters because it shows your Facebook fans that you are in sync with their needs and are trying to make their contest entry process as seamless as possible. Thus, this causes less barriers to entry and more email subscribers. Lastly, making your contests mobile optimized helps with your brand’s credibility. What this means is, customers that notice that your site is optimized for mobile are 67% more likely to buy from your site while 61% are more likely to leave if your site is not. 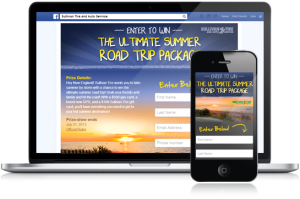 Even though Facebook contests are not necessarily on your site, the same rules apply. Your fans want the best experience they can have; anything subpar will deter them away from your site or company overall. Since were talking about how great optimizing for mobile is, I’m sure some of you are wondering how exactly you can optimize your contests. 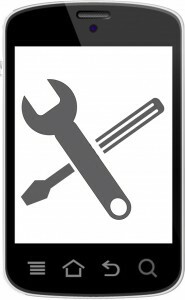 Here are 5 tips that can help you make your contest mobile optimized! The easiest way for a person to know if your contest is not mobile optimized is if they have to pinch or stretch their fingers to zoom in on parts of the contest. Contests like these face a higher chance of being abandoned because contestants would rather not be inconvenienced for just a chance to win a prize. To prevent this from happening, build a mobile version of the contest page from scratch that can only scroll up or down and has easily legible text and images. That way, your fans will see right away what this contest is about and how they can enter. Most times, a fan isn’t going to find your contest on your Facebook page, especially since Facebook Tabs are currently not available on mobile. 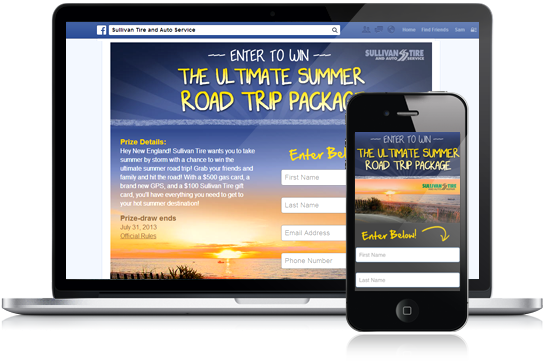 They may find your contest on your website or another persons Facebook page through their mobile browser. And it’s those times when they are most likely not signed on to Facebook. While it may seem like a no-brainer to use the like-gating technique used on desktop devices and ask fans to sign on to Facebook first and like your page, this is not a good idea for mobile. Mobile users are frequently on the go or are multi-tasking with different apps on their phone. They want to their mobile experiences to be as fast and efficient as possible. Adding multiple barriers to entry will turn off your potential contestant and they will most likely move on to their next mobile experience and forget about your contest. Instead, ask them to like your page after they sign up. Even if you don’t capture them as a Facebook fan, you’ll still have them on your email list. Your contest entry form should accomplish two goals: One, guide the contestant through the contest and two, capture the data you need. The entry form should be as short as possible to accomplish these goals and not overbear the contestant. Little changes to the entry form, such as combining first and last name fields and not having an address field can make a huge difference. The shorter the form, the quicker the process and the happier the contestant. It’s one thing to make your contest mobile optimized for iPhones but if its not for Androids or Windows phones, then your mobile efforts will not be fully rewarded. This also includes tablet devices as 40% of web users are using them to go on Facebook. Make sure to test your contest across all these platforms to avoid alienating a subset of your fans. The more you optimize, the more entries you contest will generate. Tracking your contest stats may show insight on what device your specific target market uses to view your site, Facebook page, or Facebook contest. It may turn out that almost all your contest entries are coming from mobile devices, thus proving critical for your company’s entire web presence to be optimized for mobile. Use separate bit.ly links to your contest for each device you’d like to test whether it be mobile, desktop, or tablet. In addition to testing your contest across mobile, you have to make sure that you deferential desktop vs. mobile links to your contest. A desktop link clicked on a mobile device will send your potential contestant to a DEAD END where they will not be able to take the contest. To avoid losing fans, use SMART links that are mobile optimized to take the viewer to a mobile version of the site. Tabsite can help you create those SMART Links. We hope we answered all your “mobile optimized” questions. Let us know your thoughts on our post and more tips you may have. We’d love to hear from you.